Happy New Year! I’m squeezing in one last post of 2017 because there is a lot going on in January, starting with the New Year’s Day hike in the Oakland hills. 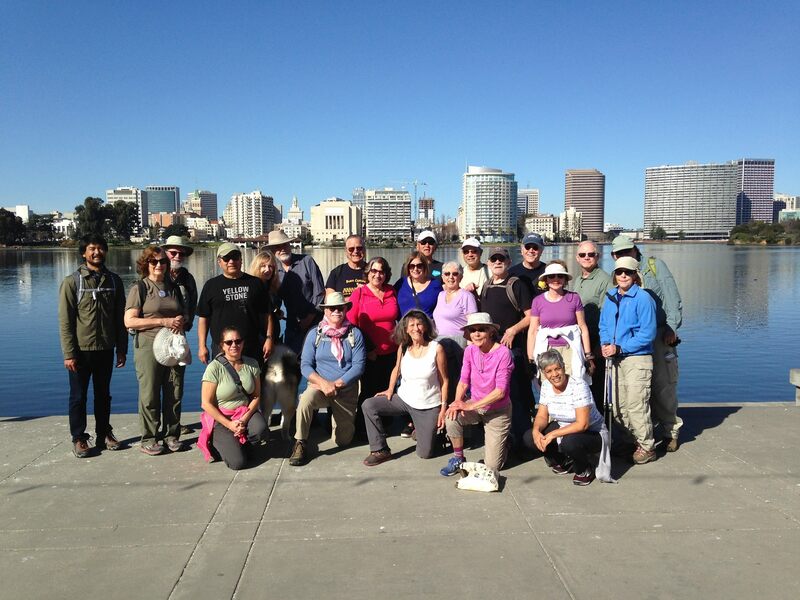 See more Camino-related events and hikes in the SF Bay Area below. Start the new year with a hike from Oakland’s Dimond District up to Joaquin Miller Park. 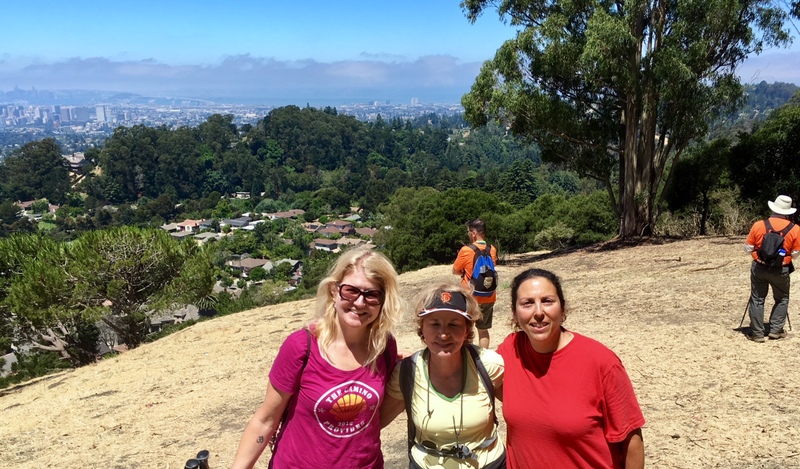 This beautiful 7.5 mile hike will go through Oakland’s Dimond Canyon and Joaquin Miller Park, and will finish with a spectacular view of San Francisco Bay. Martin Luther King Jr. Day: Monday, January 15 at 9:00am (leave promptly at 9:10am) Register here. I went on the hike in January and July and LOVED it! 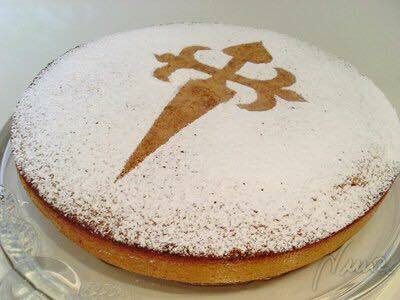 It makes for great Camino training. Here’s a highlight video I made. As you can see, it is a dog-friendly hike, as long as your dog is friendly and can handle hills. This is an informal gathering that takes place on the first Saturday of the month, rain or shine. 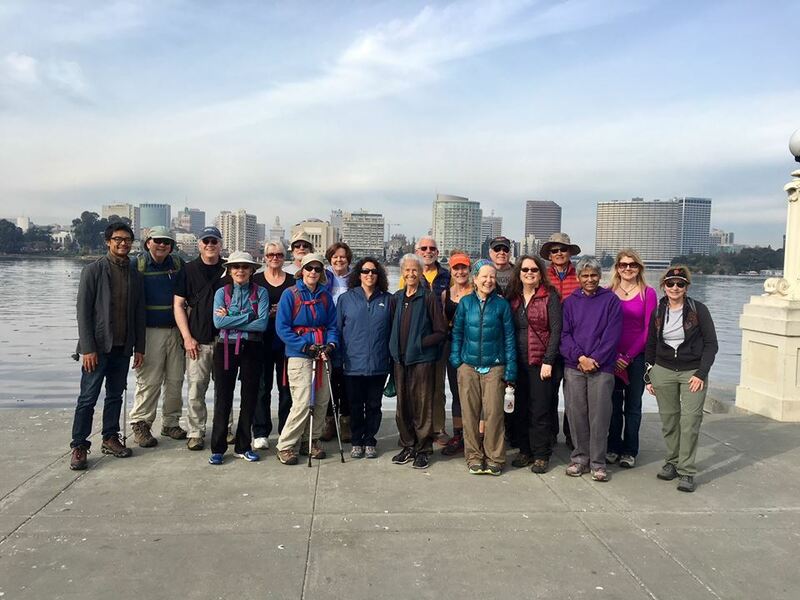 The group meets at the pergola on the east side of Oakland’s Lake Merritt at 10:30 AM and starts walking promptly at 10:45 AM. It’s a level, 3.3 mile walk around the lake that takes about an hour. All are welcome. Afterwards, there is an optional gathering for lunch at Barlago Italian Kitchen, so bring cash to split the checks. Free film screening courtesy of Scott Herriott of Squatch Films. RSVP: Space at Barlago is limited. Join on Facebook event for lunch and film. Non-Facebook users email me at laurie@caminoprovides.com to RSVP for lunch. Happy December! I hope everyone is enjoying the holiday season and taking time to appreciate the many blessings in life. Below is the roundup of Camino-related events and hikes in the SF Bay Area for the month of December. Saturday, December 2, 10:30 a.m. – 12 p.m. 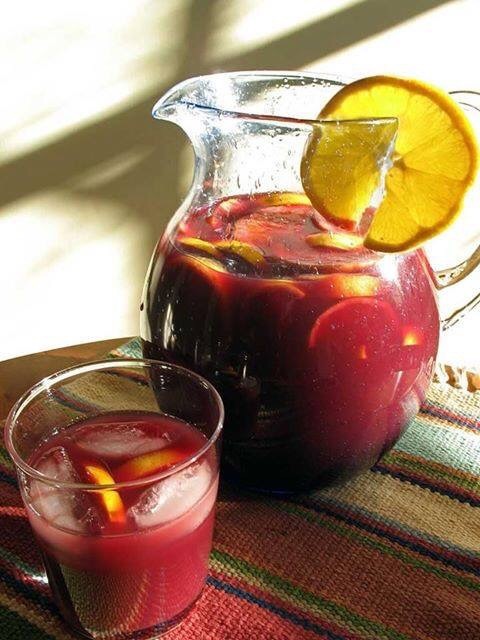 This is an informal gathering that takes place on the first Saturday of the month, rain or shine. The group meets at 10:30 a.m. at the Pergola on the east side of Oakland’s Lake Merritt and starts walking promptly at 10:45 a.m. It’s a level, 3.3 mile walk around the lake that takes about an hour. All are welcome (American Pilgrims members and non-members). Afterwards, there is an optional brunch in the area, location TBD. 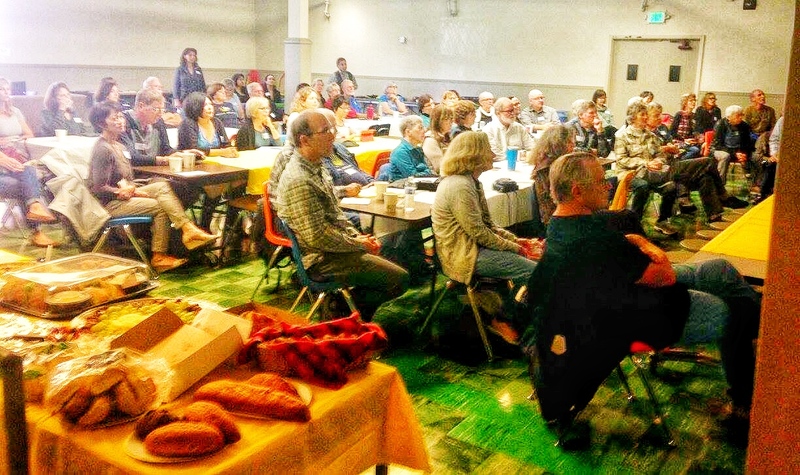 The Northern California chapter held its annual Welcome Home Celebration and Potluck event on November 11th in Oakland. 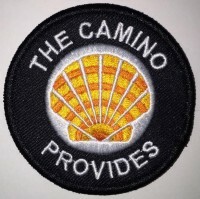 This year’s presentations included Camino routes “beyond the Francés.” First-time pilgrims and Camino veterans alike were given the opportunity to share highlights at the gathering of nearly eighty pilgrims. 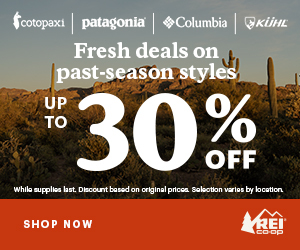 It was a fun way to learn about less popular routes—off the beaten path. We presented in 10×10 format—ten slides in ten minutes. Seven Camino routes were represented: Aragones, Inglés, Le Puy, Norte, Portugués Coastal, Primitivo, and Via de la Plata. I presented on the Camino Inglés, and I have to admit it was challenging for us to select photos and to speak for only ten minutes. We are all very passionate about our Camino experiences! Audience watching the 10×10 presentations. Photo by Guy Joaquin.